UTC Swindon student, James Goodchild, will be completing an apprenticeship with BMW after the summer. After completing an application form, James was required to do some online tests and attend an assessment day. Two weeks later, he was invited to a final interview which included a presentation he had prepared in advance, and he was offered the apprenticeship the following day. James said: “I decided this was something I wanted to do when I was about 14 or 15 – I like the idea of getting hands-on work experience rather than paying so much for university and not being able to do as much of the practical side. I think it will set me up well for an engineering career. 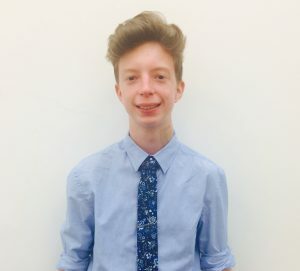 James will be completing a Toolmaker Apprenticeship, which will consist of making and building things that help people working on the assembly line. He will also get some experience of the design process. James said: “If it goes well I’d like to stay on at BMW after the apprenticeship. I’d like to progress to a different career in the future, for example I really like the sound of future designing. Congratulations and good luck James. UTC Swindon is not responsible for the content of any external webpages linked from this site. While we have made every effort to ensure the information portrayed is up to date, we do not take any responsibility for any errors. Click here to see the full disclaimer. Want to see what's on offer at UTC Swindon? Book on to one of our weekly drop-in sessions (every Wednesday 5 - 6.30pm). Book now!